A sink is also known as washer bowl, hand basin and washbasin. This is a bowl shaped plumbing device especially used for washing hands or for dish washing purposes. These sinks have taps or faucets as they are called for hot water or cold water supply as the case may be. They also include a drain to remove the used water. This can be inclusive of a strainer or a shut off switch on the device that shuts off automatically the supply of water after some time. Some sinks also have an integrated soap device. A Belfast sink is called so due to the rectangular ceramic sink. This is also known as elephant sink commonly. Belfast sinks are also commonly known as butler sinks. These sinks were designed to be used below the staircase in the pantry of the butler. The Belfast sink has a unique advantage of a weir overflow and this is the main difference between a butler sink and a Belfast sink. The weir overflow found in the Belfast sink was removed from the English – in other words, London style ‘Butler’ for very prudent reasons. Belfast had an easy to access water supply that was also plenty in quantity. However, London for instance built on deep clay, had the work of the sinking of deep wells to access clean water supplies, and hence the wasting water was actively discouraged. This is the reason for the deliberate omission of an overflow feature in the traditional sink. In modern times there is ample sanitation and so there is the easy access to clean water. It is no longer necessary to omit an overflow facility from the Belfast Sink and so overflow facility is near the rear of the sink. This makes sure that the traditional style of the Butler is maintained and at the same time there is the added advantage of the sink overflow if required. Belfast sinks were made for butler rooms and were initially used in Belfast. They were made so big that a child could actually be bathed in them! In modern times, kitchens have evolved and become more compact. However, there are some kitchens that are still traditional and have maintained their pompousness. These large spaces demand large sinks with a distinct sink overflow facility. 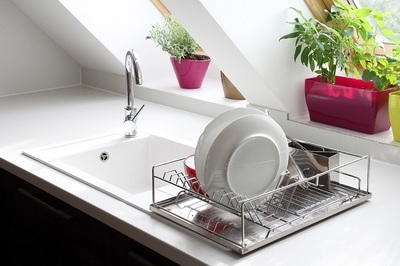 If your kitchen is big and you are looking for a sink to facilitate easy cleaning and dish washing, you should definitely opt for these Belfast sinks. Sometimes, the Belfast Sinks are used in the garden areas. These sinks are used to take water and supply them through hose pipes to all parts of the garden. This is one of the best usages of Belfast sinks. It gives you the convenience of using them in the most flexible way possible. With the economic growth, these Belfast sinks completely blend in with modern day fitted kitchens and granite workshops. They are a great fit even with the quartz workshop. The best part of a Belfast sink is that they are able to fit in so many big bowls and dishes without spilling their contents and this makes it just apt for Sunday lunch pots and pans that you can throw in. 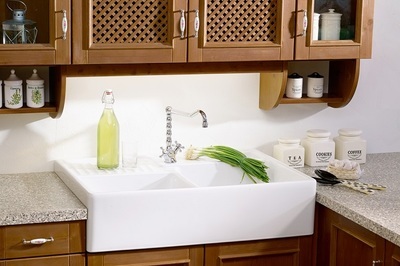 You can choose the material for the Belfast sinks according to the décor of your kitchen. Stainless steel options are preferred by many; however, the ceramic counterparts are also great. These come in bright colors and are suited to the colors of the rest of the house. 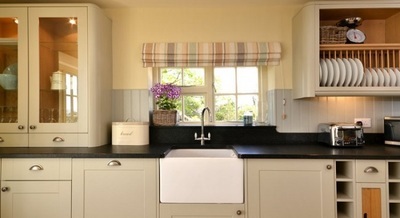 Single bowl Belfast sinks are available and the ceramic Belfast sinks as available as well. You have to choose durable Belfast sinks that’s suits your needs better and then opt for it.